Follow the eight steps toward ACA compliance. How do you manage all the details of the Affordable Care Act & the Employer Mandate? What is your organization responsible for—and are you doing it right? We know a lot of businesses struggle to know the ins and outs of ACA compliance, and we're here to help. 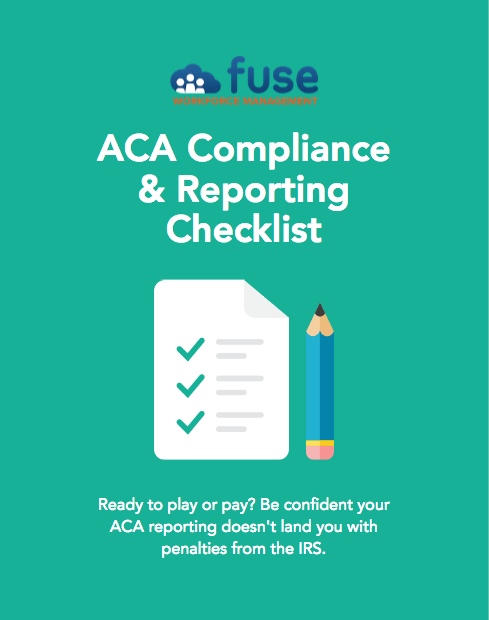 Our ACA Compliance & Reporting Checklist will help you identify the holes in your ACA management and develop a plan that's compliant. Don't get caught with IRS penalties. Be confident your business is compliant with the Affordable Care Act.